Kavitha Rao is a journalist, author and trainer based between India and Istanbul. She writes on current affairs, environment, the arts, culture, people and places for several international and national papers. Her work has appeared in the Guardian, the New York Times, the National, Time, the South China Morning Post, the Writer, Marie Claire US, Womensenews, Elle India, Vogue India, Caravan, Open and several others. She also writes Terra India, a popular column for the Guardian on the environment in India, which won an Asian Environmental Journalism Award for best Environmental Blogger of 2013-2014, awarded by the Singapore Environment Council. Kavitha also writes a monthly column for the Hindu on all things Turkish. You can read samples here. Kavitha has lived and worked in eight countries, and reported from several others, so brings a truly international perspective to her work. She is always available for interesting assignments on India and Turkey, and specialises in making both countries understandable to the foreign reader. 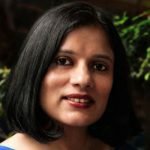 Kavitha is also the co-author of “Everything You Wanted to Write About Freelance Journalism (but didn’t know whom to ask)”, a guide to breaking into freelance journalism, published by Westland. It’s aimed at everyone from complete beginners to more seasoned pros.